What are you doing, Justin you re just making it oh so easy to hate you and pick on you and find flaws and whatever else. Here s one of his many bad boy, devil may care selfies that he enjoys uploading for his millions of young girl fans to swoon over for months on end. Here is Chris Pratt being a boss in what looks like a laundry or a bathroom. It s not necessarily that embarrassing (being caught in nothing but your bottoms isn t very embarrassing when you look like Chris Pratt) but hey it made the list anyway. 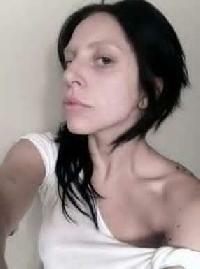 Now do you see why Lady Gaga hides behind lots of makeup and flamboyant clothing that distracts your eye from her face? 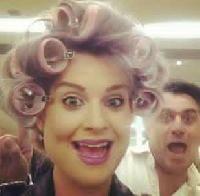 It s because she s actually quite strange-looking, especially for a pop star who is constantly in the limelight. Great voice though, and that s the important thing. The apple doesn t fall far from the tree, and you can tell in this pic that Kelly is the daughter of Ozzy Osbourne, the front man from Black Sabbath and a former raging alcoholic and drug addict. Kelly hasn t gone down her father s rock and roll path but her eyes still have that crazed Osbourne flare. 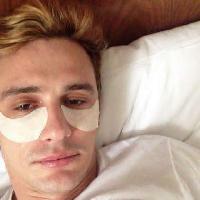 This is a PG-rated James Franco selfie we would have preferred to show you a different one but unfortunately it s much too R-rated for this gallery Franco often posts ludicrous and unattractive selfies, and says it s in the name of art. What do you think about his unconventional Instagram posts? Now that she s a mother, Hilary Duff doesn t have the time she used to have to dress herself up and put on stunning outfits every morning. 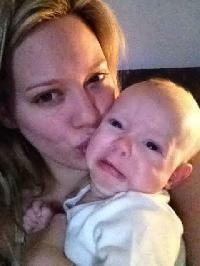 Maybe she should put SOME makeup on though her baby looks positively terrified. It s hard to believe looking at this selfie that Chrissy Teigen is an American supermodel who made her big break a couple years ago with a very popular Sports Illustrated photo shoot. 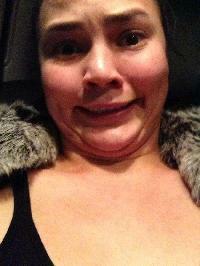 But supermodels have a sense of humour too and even they enjoy a wacky ugly selfie now and then. If you ve ever wondered what professional gymnasts look like naked, this is it. Apparently they also like to wear horribly disgusting bottoms that are barely held together with what looks like bits of string It looks like he s going to fall out of those bottoms at any minute. Tom Hanks is arguably one of the best and most celebrated actors in Hollywood but let s face it he s getting old He s put on a few pounds and he s not the sharp-looking young man we all fell in love with when he did Forrest Gump. 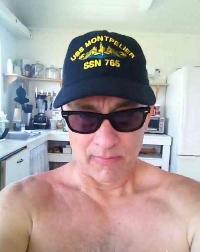 He s still awesome enough to take selfies in his captain s cap though. 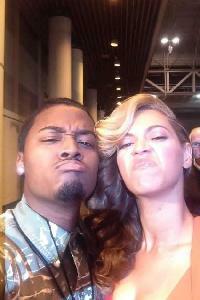 It s very rare to find a picture of Beyonce where she doesn t look her usual, stunningly beautiful self but this is definitely one of them That being said, even with a scrunched up face she s still more gorgeous than most other girls on their best day.